Definition of a Macro: “An object that contains a symbol, name or key that represents a list of commands, actions or keystrokes”. 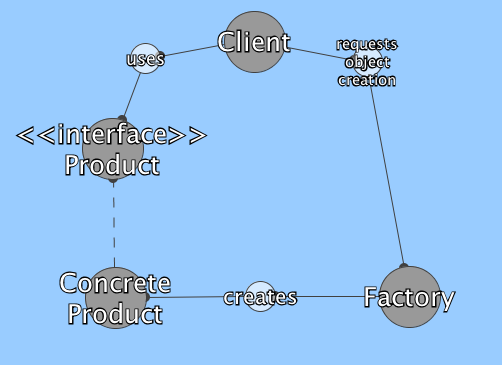 This is the basis of the Command design pattern. The Command Pattern encapsulates commands (method calls) in objects, allowing us to issue requests without knowing the requested operation or the requesting object. This pattern provides the options to queue commands, undo/redo actions etc. extends the Command interface, implementing the Execute method by invoking the corresponding operations on Receiver. It defines a link between the Receiver and the action. The Client asks for a command to be executed. The Invoker takes the command, encapsulates it and places it in a queue, in case there is something else to do first, and the ConcreteCommand that is in charge of the requested command, sending its result to the Receiver. I’ve basically nicked all this, word for word, from the source below but it seemed pointless to reword and rework it too much. It’s good info. The Factory Pattern creates objects without exposing the underlying logic to the calling class, which then refers to the newly created object through a common interface. The advantage of this pattern is that new “products” can be added without changing a single line of code in the framework (the client code that uses the resultant objects). The Singleton Pattern basically restricts the instantiation of a class to one object. The reason we include a random number is to prove that we get the same instance of Singleton whenever we call getInstance(). So, I’ve been looking at Design Patterns lately, and I’ve decided to document a couple, starting with the Observer Pattern. The basic gist of it is that you have an “observable” class/interface (in this case Subject implemented as MyTopic) which has, amongst others, the methods register(Observer obj) and notifyObservers(). 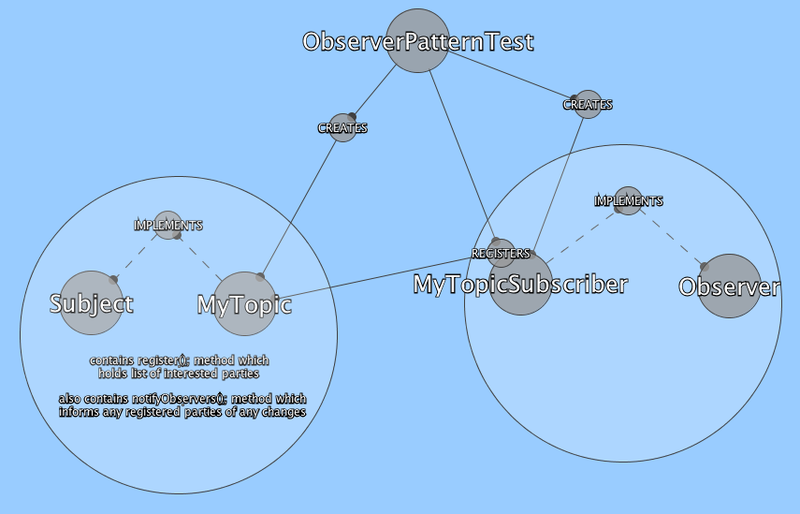 You then pass in concrete instances of the interface Observer (in this case MyTopicSubscriber) via the subject.register() method, and then – any time the Subject is altered or otherwise interacted with, it can then call notifyObservers() and then – via calls to each of the Observer object’s update() method, everyone in that list of Observers can be informed. That’s about it, really. Seems simple! Got myself a nice little nano PC to act as my server (thank you, Louise) and I’ve been a busy little bee since Friday night getting it set up. Installed PHP, Apache, MySQL etc. So I’ve got my home development environment set up pretty nicely now. I think the bug tracking thing is crucial – it will help give me visibility and guidance throughout the development process. I may even end up with useful estimates of completion times! That should do for now. I’m off! That should be enough for now. This application should really start taking shape soon. Right, I was having a good think yesterday on how to re-organise my working environment at home. Obviously, I’ve already blogged about using Git etc. but my plans went a bit further. 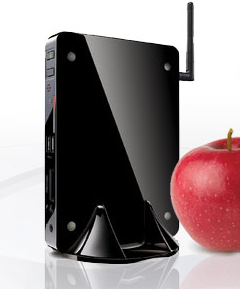 I’ve ordered a mini PC, which will function as my home server, on which I will host Git etc. and now I’m itching to get all my projects under proper control. One of the first things I want to do is implement all the required fixes for DiagramBuilder, and get it working in Maven. I would like to release this as a full product soon, and then continue to produce better iterations. Once I get my bug-tracking stuff sorted, applications and updates should be flying out the door. 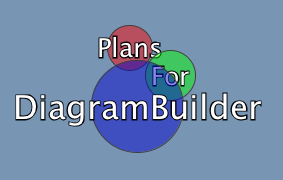 Also, once I get an improved DiagramBuilder up and running, I can actually use it to help plan everything else anyway. I will need to get ProGuard working before I release anything else though, definitely. That’s general enough I suppose. And I’m off!